Jersey Fresh & homegrown! 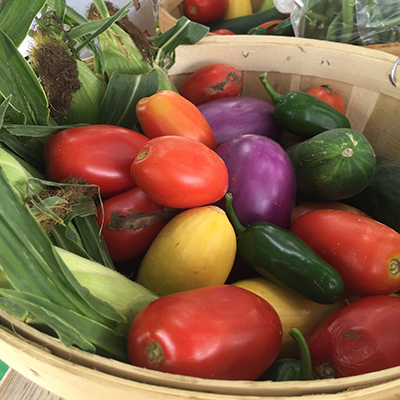 VonThun’s CSA Program provides its members with weekly baskets of high quality, fresh picked, homegrown produce – grown right here at the farm, by our very own farmers! Beef, fruit, and egg shares are also available. 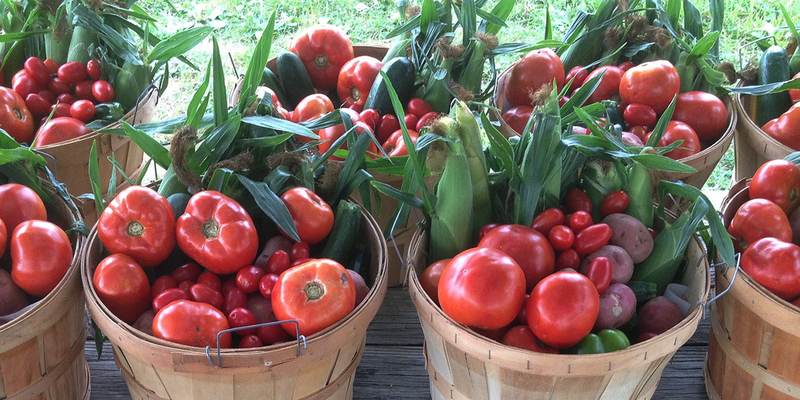 Our South Brunswick CSA program runs for 20 weeks. Members pick up their shares at one of our local Host Sites or at the farm each Wednesday or Thursday between 2 – 7pm. Pricing Details & Join Now! Greenhouse hanging baskets, annual flowers and/or herbs, discounted U-Pick Passes, and Fall Festival weekend admission tickets. 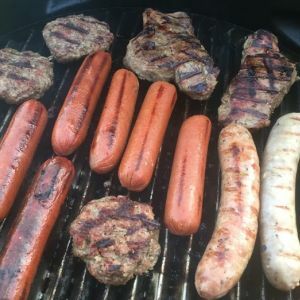 5, 10, & 20 pound shares of our homegrown beef are available. Receive beef once a month for 4 months. Beef may also be purchased a la carte. Receive fruit for 6 weeks with this share. 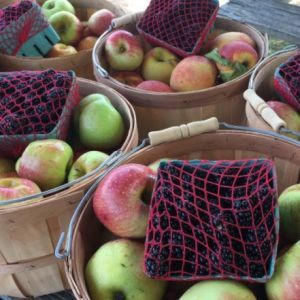 Weeks will vary depending on the availability of fresh, Jersey fruit. 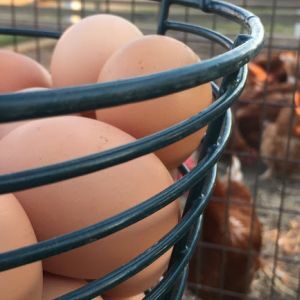 With this share members receive one dozen brown eggs per week throughout the 20 week program.